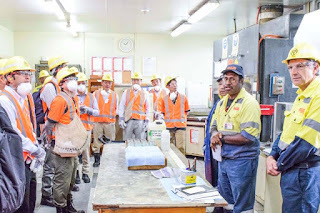 RAMU NiCo Management (MCC) Ltd is conducting an awareness campaign with other stakeholders on the transportation of chromite from Kurumbukari mine to Madang. The programme started on Monday and will end next Thursday. It will be carried out along Kurumbukari (KBK) mine to Usino Junction, towards Walium and along the Usino-Madang highway. 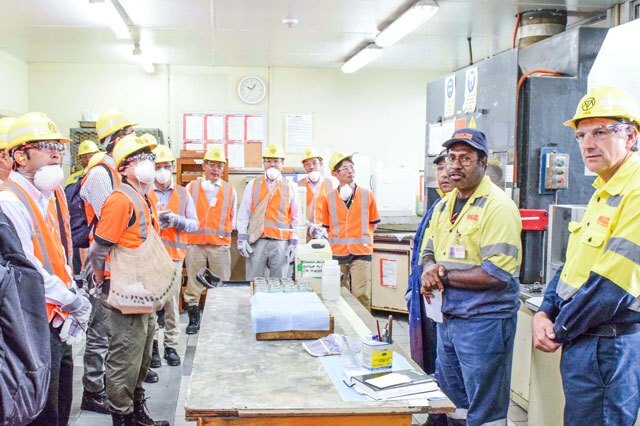 The environment supervisor with Ramu NiCo’s health safety and environment department, Steven Opur, said 10 villages with an estimated population of 175,000 people would be covered. This was after Ramu NiCo got its chromite permit from Conservation and Environment Protection Authority (CEPA) to stockpile and take it out of KBK mine for export. “The locals living along the highway raised concern, on chromite transportation, on health, safety and environment concerns,” Opur said. “Our message is simple: Chromite is one form of soil or sand and cannot produce fumes. Opur said bags packed with chromite were placed in enclosed containers and transported along the highway on a controlled and recommended speeds. “In case there are spillovers, our emergency and logistics team will attend immediately, clean up and leave no mess,” he said. Opur said the awareness programme was to ensure locals understood the nature of chromite and the procedures involved in quality packing and transportation approach, regulatory requirements including permit conditions on chromite stockpile, transportation management and others.